Join the Glacier State Paddlers on Saturday, September 22 for an easy, social canoe trip. This trip will start and end on Hwy Q at the bridge over the Oconomowoc River just east of the town of Monches, so no car shuttling will be needed. 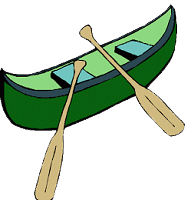 The canoe trip will begin at 10:00 am and will follow the Oconomowoc River for several miles until it reaches Lowes Lake, part of the Kettle Moraine State Forest. The trip is 6 miles round trip with a possible very easy portage. Bring a lunch to enjoy in your boat or take out at the small picnic area on the lake. Contact Mary Kay Linari at 414-486-5411 or mlinari@sbcglobal.net to reserve a spot on the trip for the paddle and for more information. Identify yourself as a Nordic Ski Club member. Canoe rental cost is $5.00 per person. Money should be paid directly to Mary Kay. There is no fee if you have your own canoe or kayak.